The Dallas Cowboys have a small sample size when it comes to the 2018 season, having played just two games, but clearly if there is one area on the team that has been a concern though the first two weeks, it is how poorly the offense has played, and there are plenty of questions as to what to do in order for the team to get better in that area. 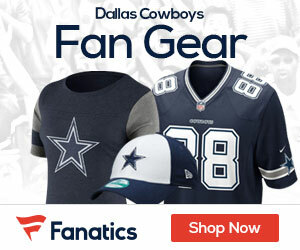 When you look at the weekend sports gambling sites, the Cowboys are three-point underdogs for their matchup Sunday in Seattle against the Seahawks, who will play their home opener against Dallas. The 4:25pm EST matchup in Seattle will see two teams that do play each other quite a bit, and two teams that know a lot about each other. There is going to be a lot of drama in Sunday’s game, but today we go back to the issues with the teams offense, and what players need to step up after just two weeks of play of the 2018 season. There is no doubt that the wide out core for the Cowboys this season looks a lot different than last season, and with that now is the time that Beasley can have the chance to step up and show what he can do for the Cowboys. 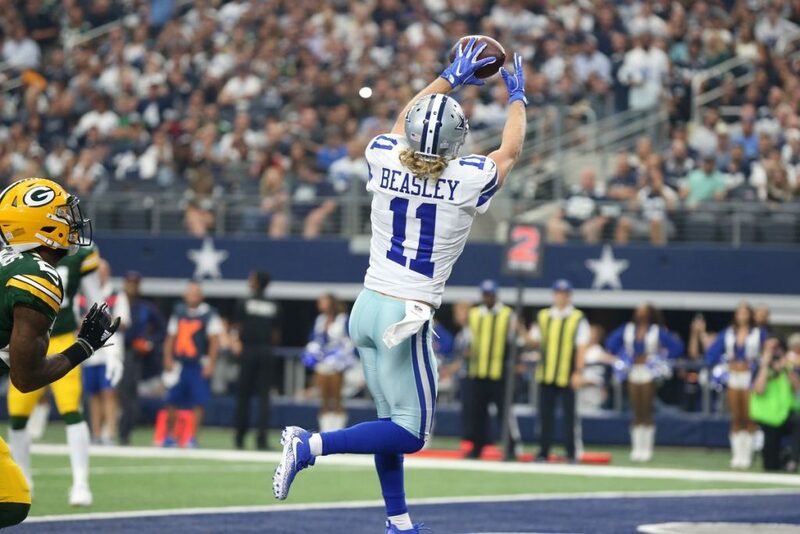 Beasley has nine catches in two games, with 11 balls being thrown his way, for 86 yards with a long gain of 17 yards. Look as quarterback Dak Prescott and the offense starts to continue to work more together to get Beasley more involved, and for him a lot more often. It will be interesting to see if he can take advantage of it. This is the biggest project for the Cowboys, and that is how to get Austin, who can get downfield and make plays, more involved with the teams’ offensive game plan. He has had just two catches in two games, but the biggest thing is he is a player that can spread the field, and that is something that has to make the coaching staff thinking big when he is in the game. Like Beasley, look for Austin to also get more chances as the season continues to move on. Ezekiel Elliott is the play maker for the Cowboys, and his play week in and week out is likely the reason this team on a game-by-game basis is why they are going to win or lose. He has not had that breakout game that the team has been waiting for, and while the Seahawks are going to have his number firmly etched in their defensive game plan this week, it would be interesting to see what happens if Zeke does get 20-25 carries against the Hawks, who are simply not the same defense they have been in the past. Expect a big game soon from Elliott, but it may have to wait a week or two as this week it is asking a lot against a Seattle team that will be focused on him. The Cowboys really need a tight end of step up now with Jason Witten doing the dance of the media in retirement instead of catching passes each week. Swaim just could be that guy, as so far the Cowboys tight ends have yet to do much of anything, but he could be in line to see more action as the safety valve for Dak Prescott. The engine drives the train. Dak is the key.